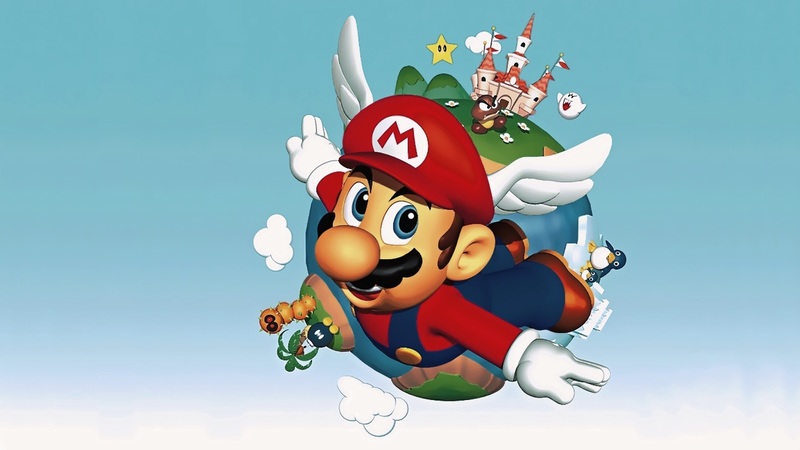 Краткое описание: Mario is super in a whole new way! 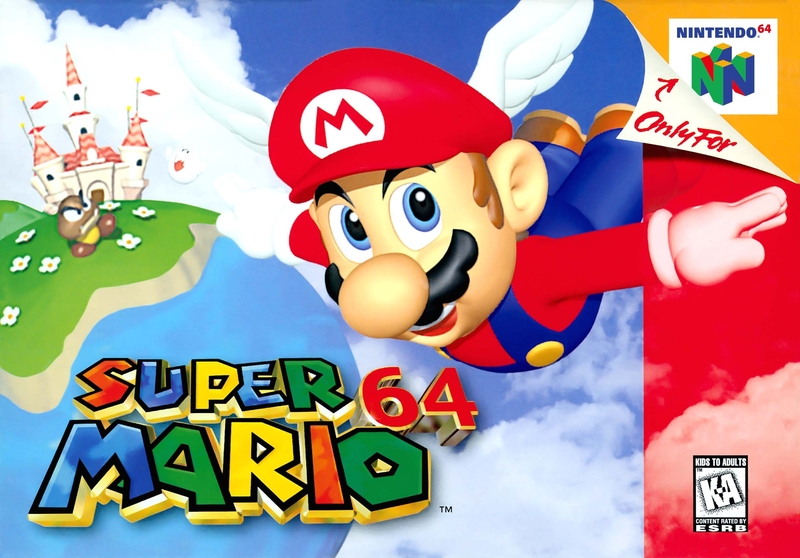 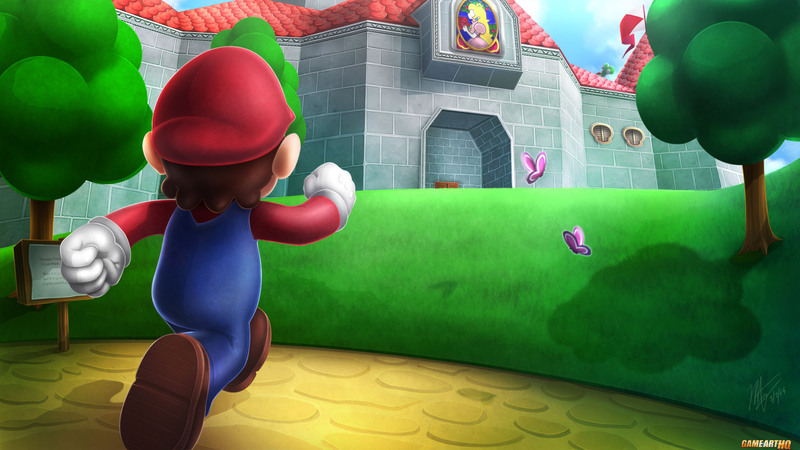 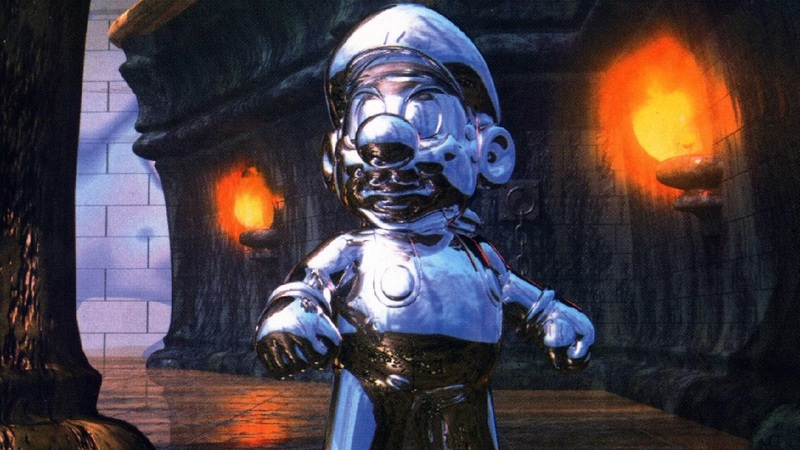 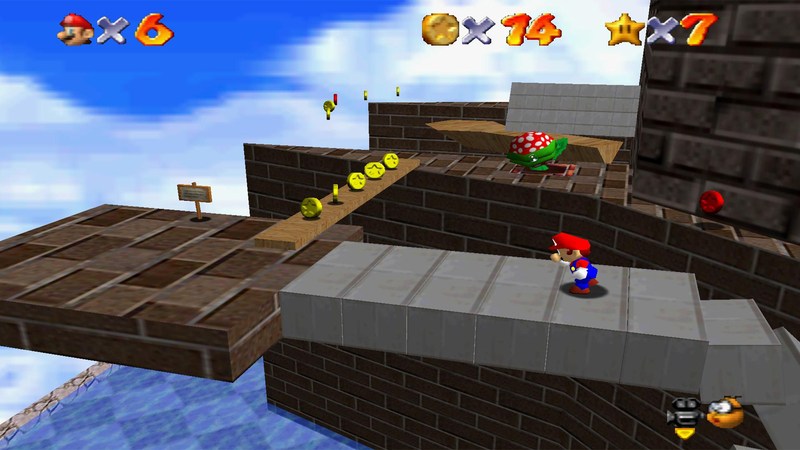 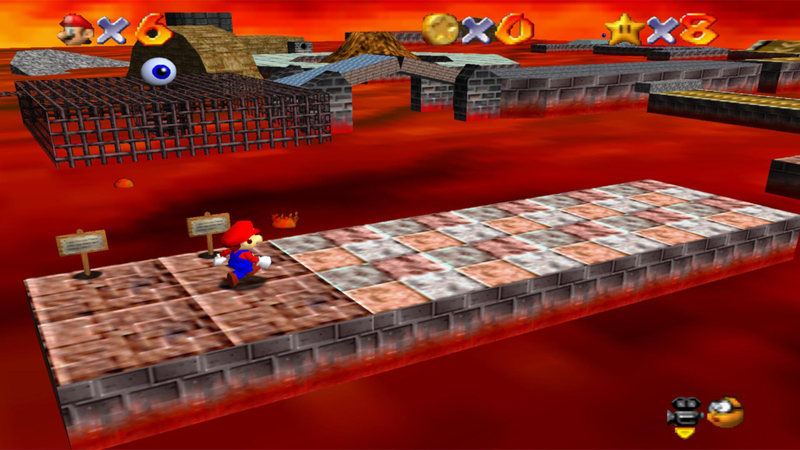 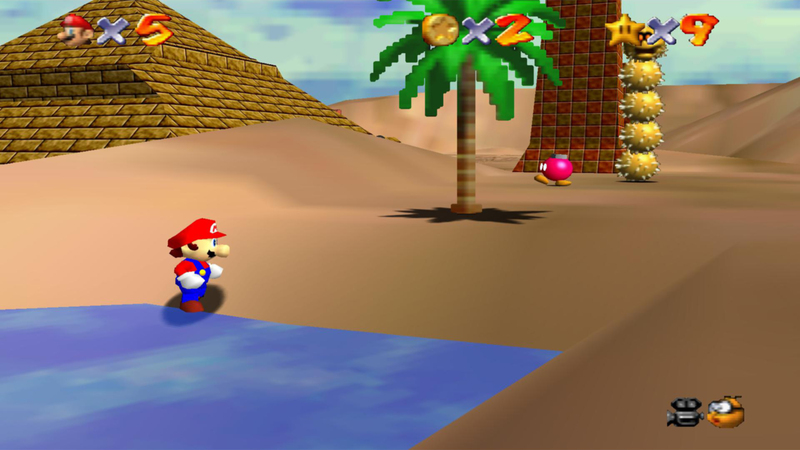 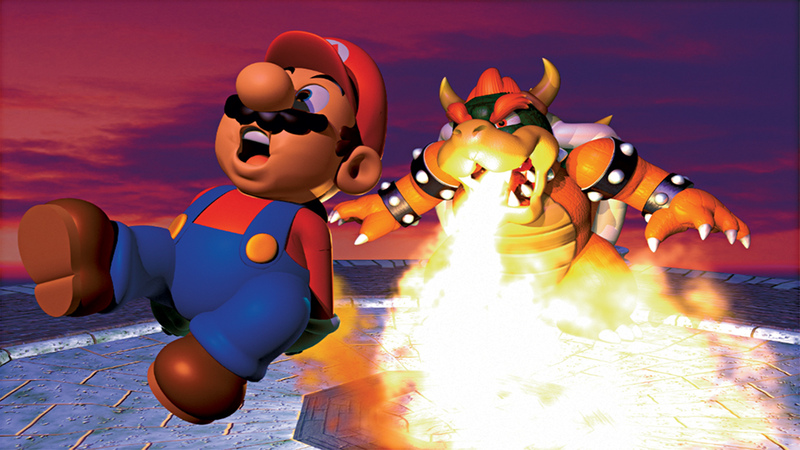 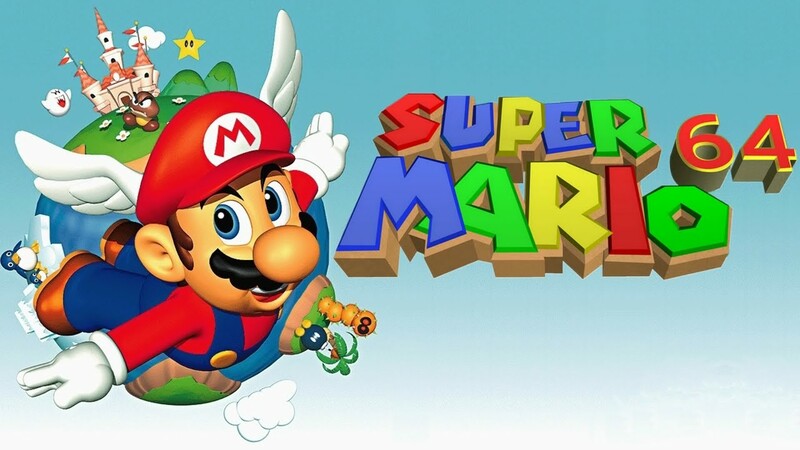 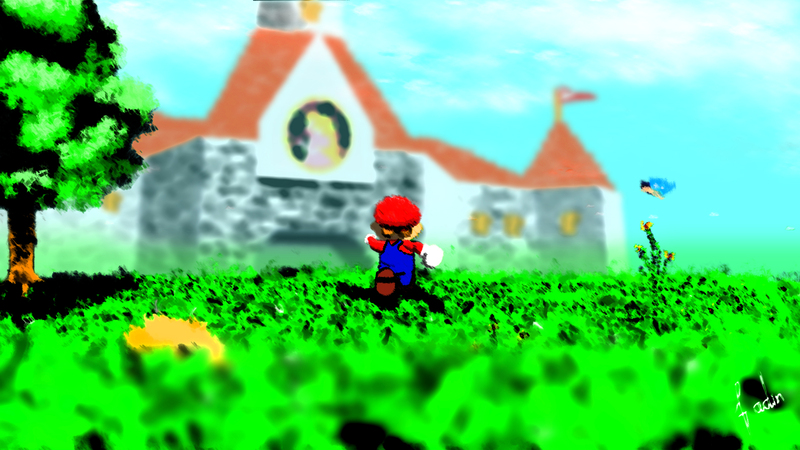 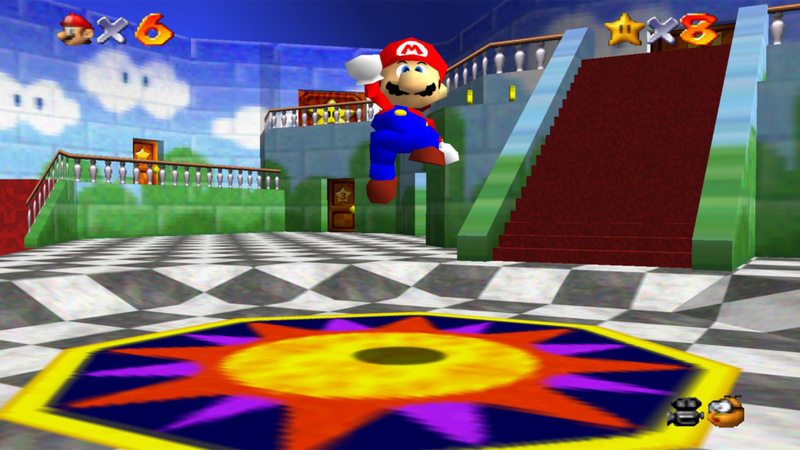 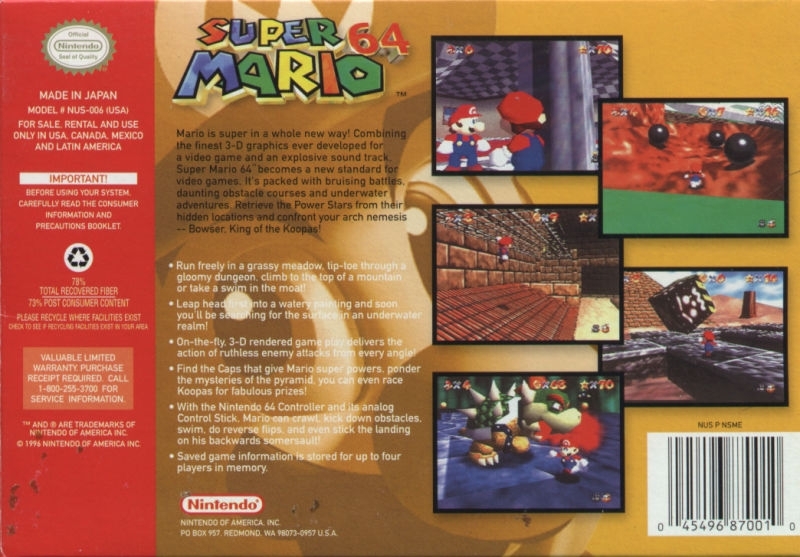 Combining the finest 3-D graphics ever developed for a video game and an explosive sound track, Super Mario 64 becomes a new standard for video games. 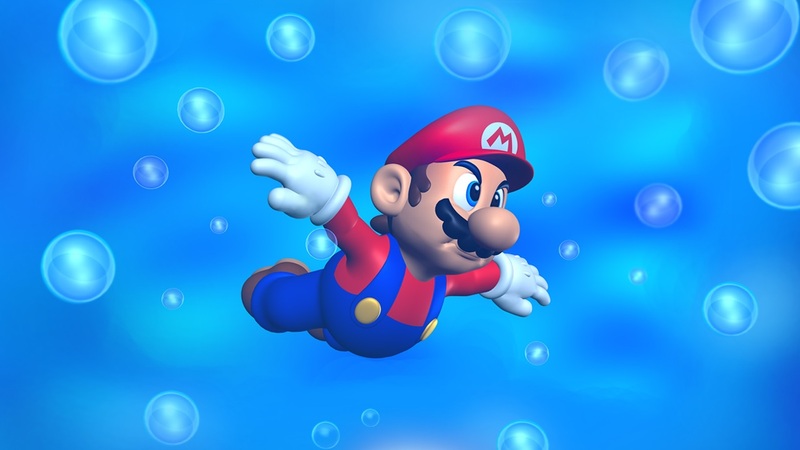 It's packed with bruising battles, daunting obstacle courses and underwater adventures. 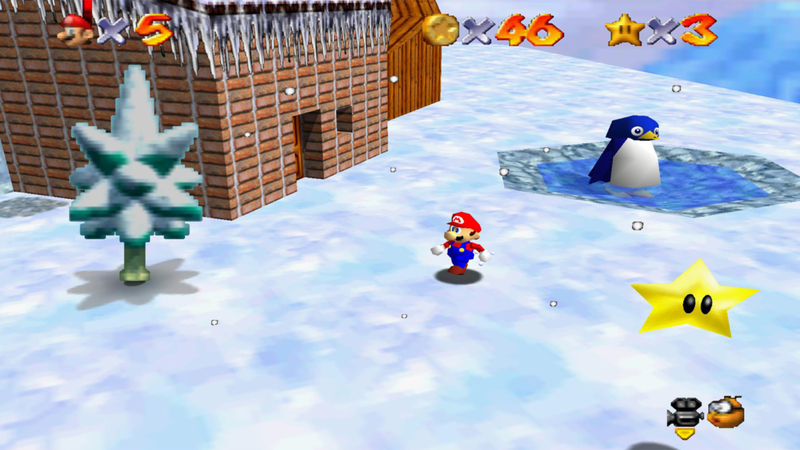 Retrieve the Power Stars from their hidden locations and confront your arch nemesis - Bowser, King of the Koopas! 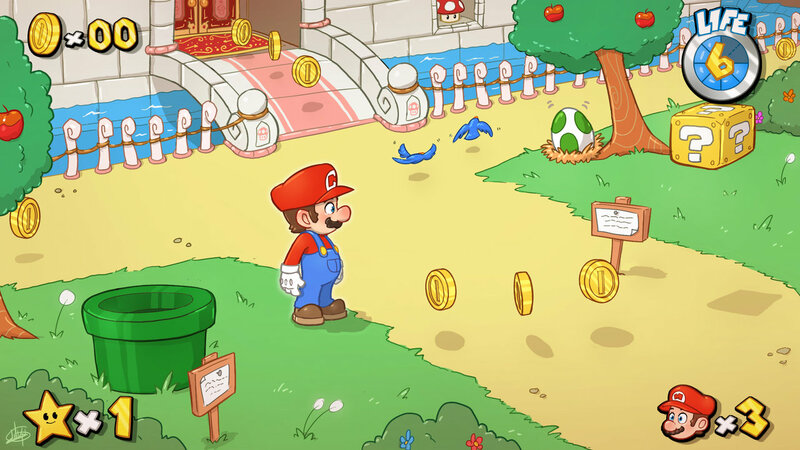 Mario is super in a whole new way! 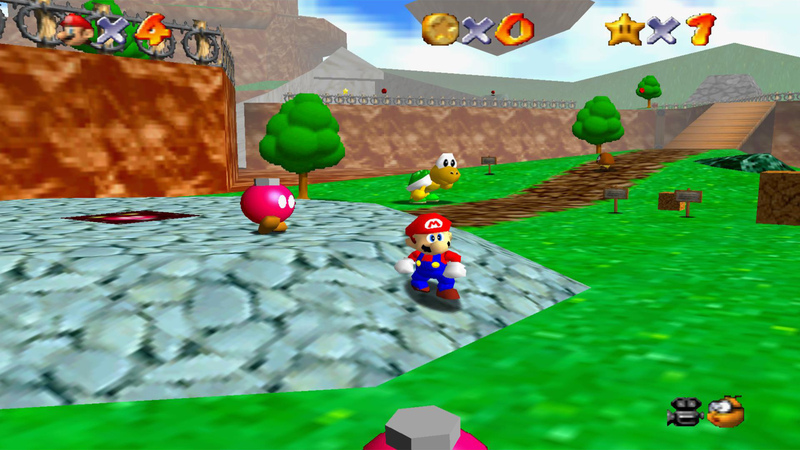 Combining the finest 3-D graphics ever developed for a video game and an explosive sound track, Super Mario 64 becomes a new standard for video games. 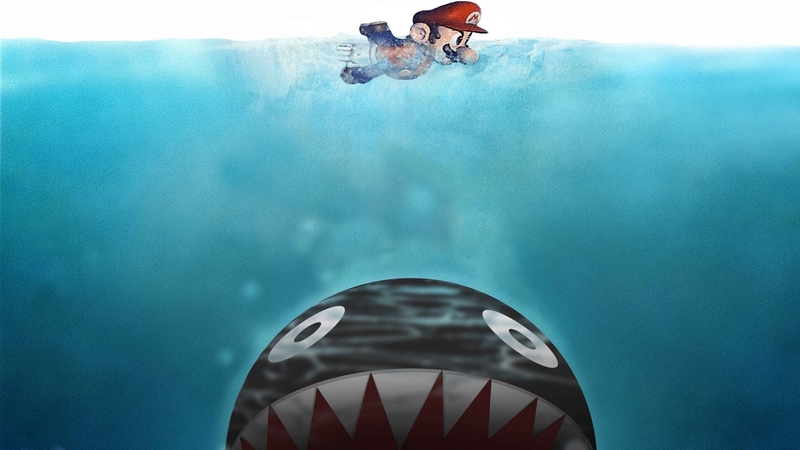 It's packed with bruising battles, daunting obstacle courses and underwater adventures. 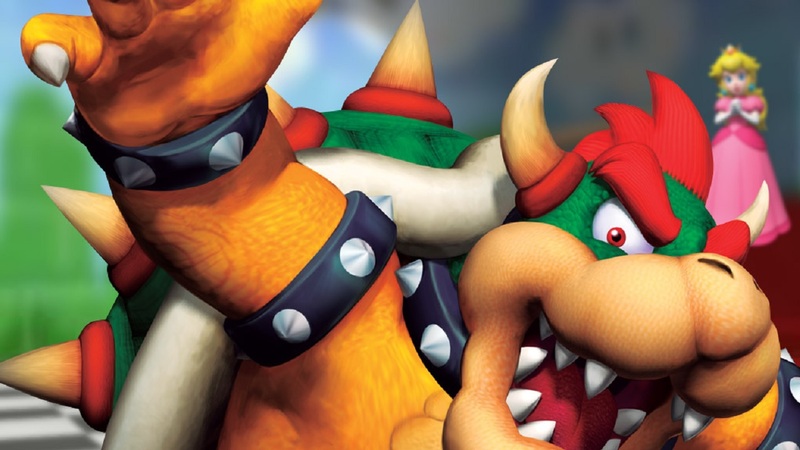 Retrieve the Power Stars from their hidden locations and confront your arch nemesis - Bowser, King of the Koopas!